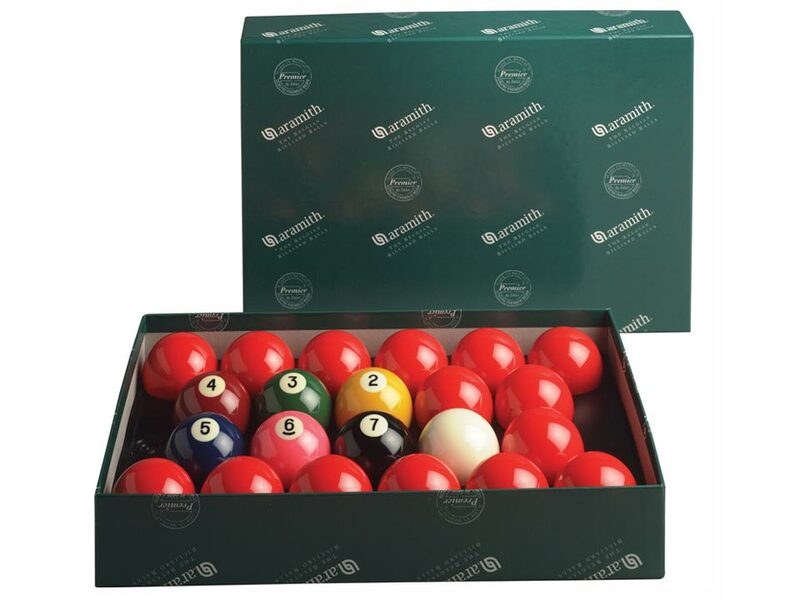 This set of Aramith Belgian regulation snooker balls comes complete with fifteen red balls, colored balls two through seven and a cue ball. Aramith produces some of the highest quality balls on the market today. Aramith balls feature:- Perfect roundness and balance - Uniform weight and hardness - Brilliant colors - Friction resistant roll and reactionWhen you make an investment in Aramith balls, you can be assured you are getting one of the highest quality ball sets on the market. Aramith phenolic balls last up to five times longer than other balls made from polymers or polyester. Billiards-play simulators have shown that Aramith phenolic balls are still perfectly playable even after 400,000 hits, whereas others were rendered unusable.